Call 06 306 6150 to talk to us now or use the form below to get in touch. 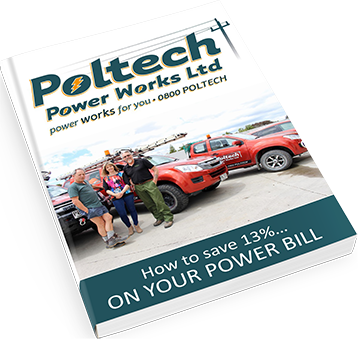 Poltech Power Works are line workers servicing the Wairarapa and beyond. We offer line solutions that are prompt, safety compliant and network compliant. As an approved major works contractor to PowerCo, we provide line construction, connection and maintenance for clients both large and small.